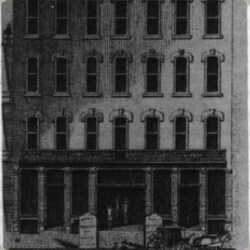 On this site Lorenzo Costa purchased an 1861 building and opened the first play house in Topeka in 1870. 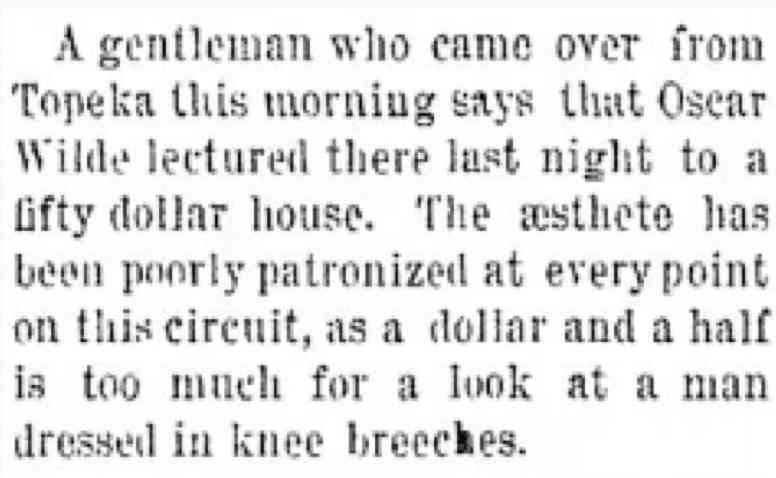 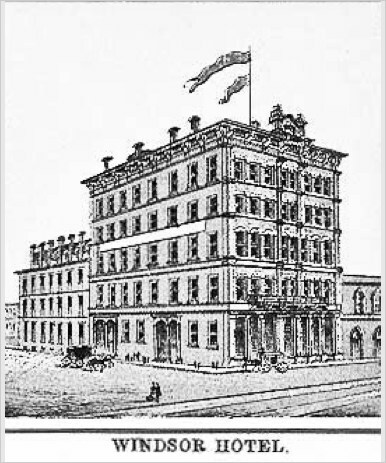 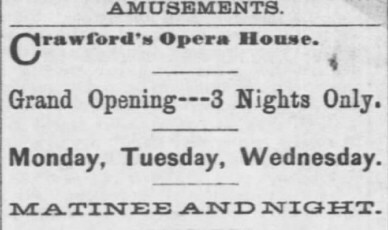 L. M. Crawford bought the property in 1880, made extensive alterations operating as Crawford's Opera House. 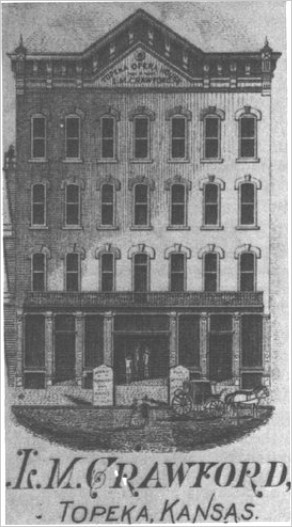 This structure was destroyed by fire on December 2, 188o, and replaced the following summer by a new building. 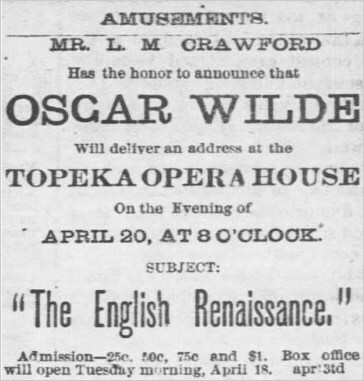 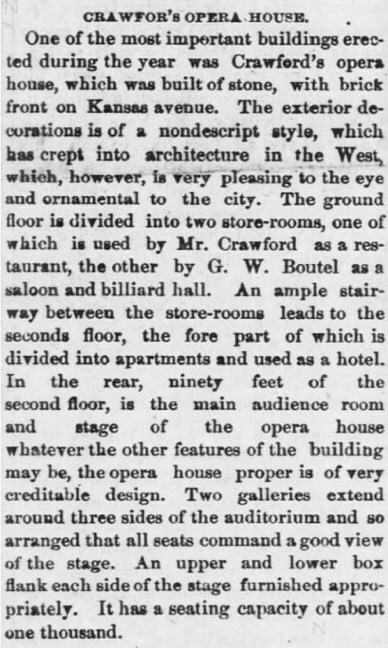 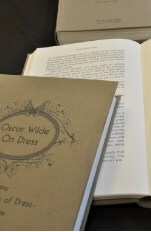 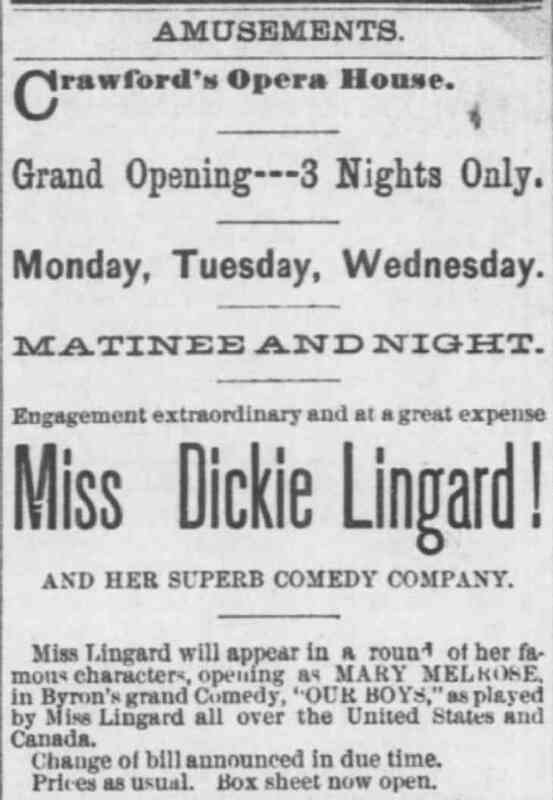 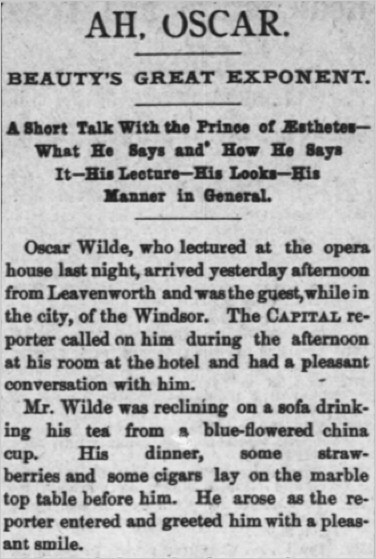 This is not to be confused with the Grand Opera House on lots 193, 195, and 197 Jackson Street, which opened in September 1882, several months after Wilde lectured in Topeka. 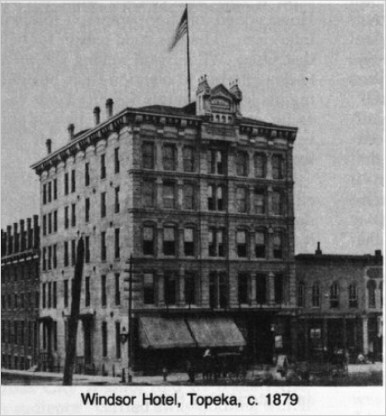 Closed: 1889 when bought by the First National Bank of Topeka who incorporated their business into a hotel under the name of the National Hotel.